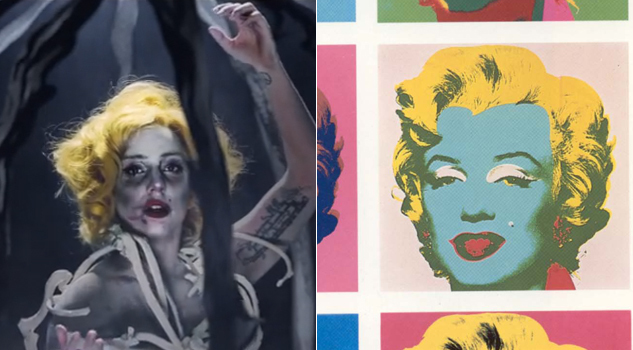 In Lady Gaga's new video for “Applause,” the statement is ArtPop. And here I will treat it as just that, a work of art to be dissected and studied. 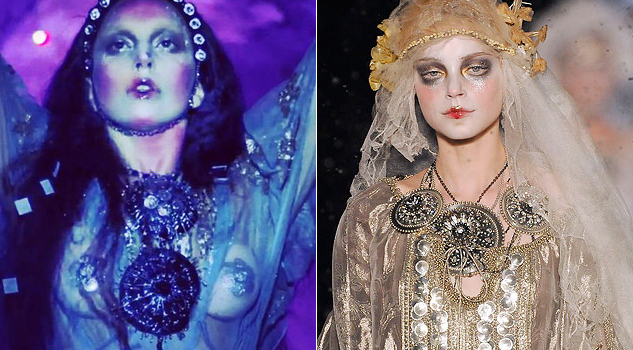 She draws on diverse influences, from Botticelli to John Galliano. 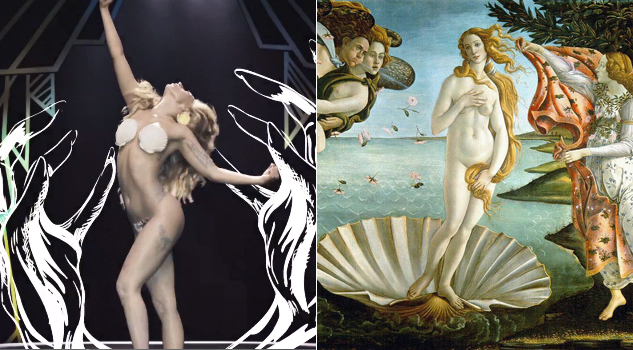 In the video we see influences of classical art, silent film, Japanese outsider art, pop culture, and since this is Gaga, you can’t forget about fashion. 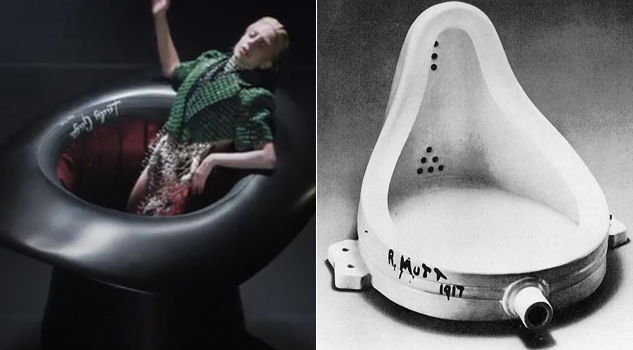 The video opens with an absurdly large hat signed ‘Lady Gaga.’ A nod, perhaps to the works of Marcel Duchamp who would sign something and then declare it art; however the hat could also be a nod to John Galliano, who she references later in the video. Next, we get our first glimpse of Gaga in a ribbon cage. Her hair and makeup reference Andy Warhol's famous portraits of Marilyn Monroe, as well as invoking the fashion of Jean Paul Gaultier’s Fifth Element costumes. 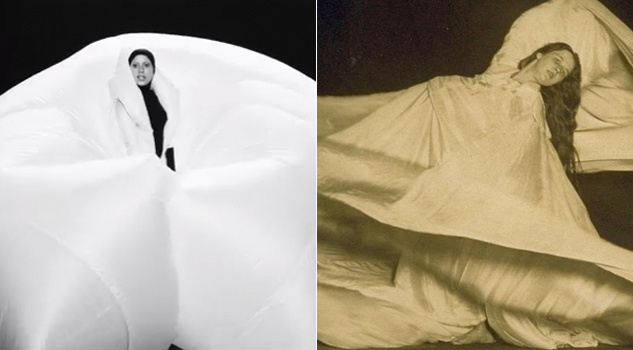 Then, as the camera pulls out, we see the singer in a black outfit accessorized with a billowing cape, which invokes the work of early-1900s photographer Loie Fuller. 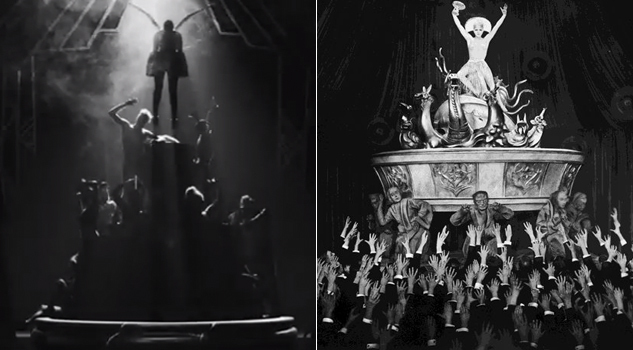 Moving beyond the brilliant knife catching sequence, an homage to late-1920s circus films, Gaga emerges from the hat we saw earlier. Her outfit recalls the Maison Martin Margiela Artisanal collection as well as a reptilian version of Metropolis, but more of that to come. 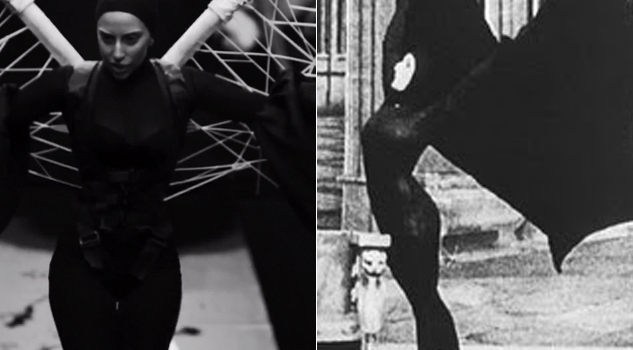 Later, when Gaga dances with her cape, images of Les Vampires (1915) immediately come to mind. The dancing continues and the Futurism begins to assert its presence. We see flashes of a pyramid straight out of Fritz Lang's Metropolis. Then as soon as it begins it's over. 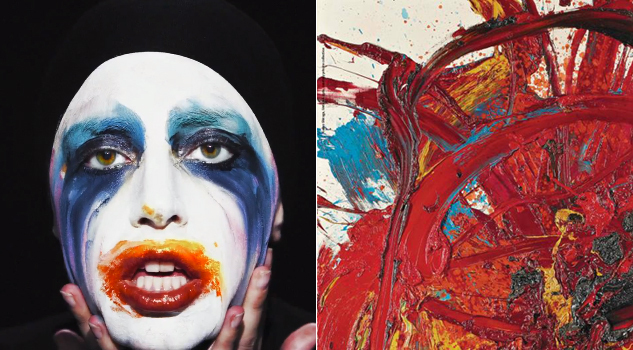 Gaga smears her makeup across her face as if she’s a living Kazuo Shiraga smear painting or a sweaty David Bowie after a show. We now come to Sandro Botticelli’s “The Birth of Venus,” except here our version of Venus’ bosom is supported by the hands of Futurist cinema. And here it is: the inexplicable goose sequence. Lady Gaga is transformed into a black swan, with some face makeup that is referential to Picasso's minimalist drawings of animals. Then we dance! The sequence is referential only to itself. The only piece of interest being the Art Deco-inspired background and the Janet Jackson circa 1993 hand bra. A writhing Gaga on a mattress could be a reference to Tracy Emin's “My Bed.” This is Gaga after all. 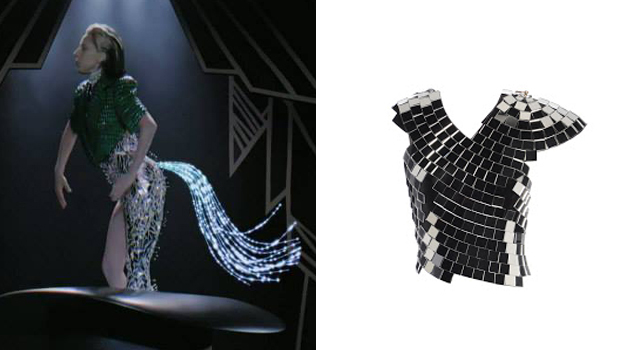 Then we see the singer emerge in an outfit that pays homage to both Galliano's Fall/Winter 2009 collection and Metropolis. 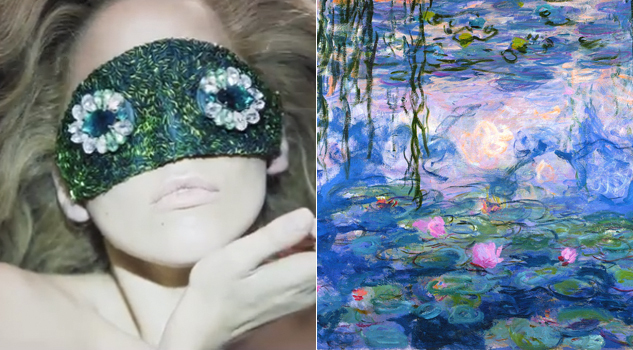 Finally the video draws to a close with a soft eye mask of flowers in a pool, with Monet literally on her mind. 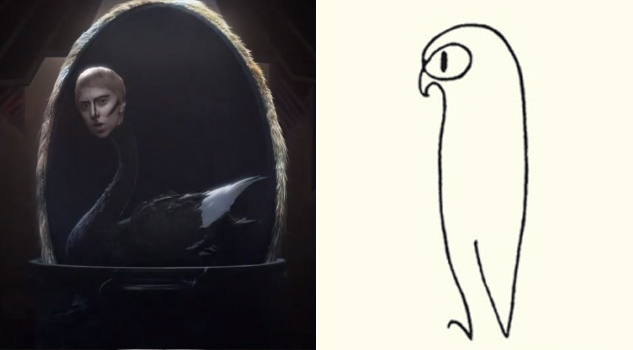 To paraphrase Oscar Wilde - Art is at once surface and symbol, if we see the symbol, sometimes we fail to see the art, if we just see the art, then we are missing some important symbolism.